Sculptors in Gaudí’s time created plaster moulds of objects, animals and plants, but hid this practice as they thought it took away from their achievement. The artistic avant-garde was moving towards exalting the artist and avoiding copies. 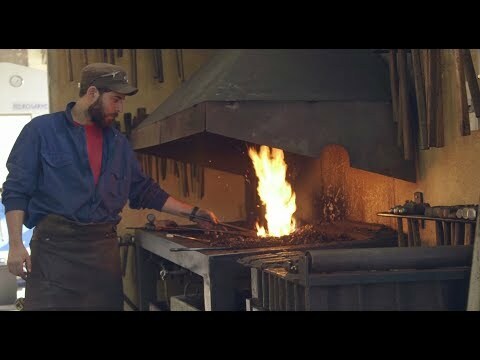 However, when Gaudí discovered that the Greeks had used this technique, he felt justified in his choices and learnt everything he could about the technique and moulding live subjects. He used this technique for the sculptures on the Nativity façade. The two main things that drove him to use this technique were surely, on the one hand, his desire to express life, avoiding the often deathly expressiveness of many sculptures, which fit with the message of the Nativity façade, which is an explosion of life. And, on the other, his desire for cohesiveness among the sculptures on the façade. To do so, the professionals Gaudí surrounded himself with had to humbly accept anonymity and adhere to his way of doing things. They couldn’t leave their own mark on the work, so it wouldn’t become a hodgepodge of different personal styles. To delve deeper into this technique, despite going back hundreds of years, Gaudí began by studying the human body. To do so, he went to the anatomy classrooms at the hospital to learn from cadavers. With this knowledge, he made skeletons out of wire and dressed them with a metal mesh to be modelled. Once he was happy with the position and appearance, he looked for real models and took photographs before, finally, making moulds. The person would have to wear a special tunic, or take off their clothes if necessary, and was covered in plaster, forming a hard outer shell. The whole process only took a few minutes, however some couldn’t bear the sensation and passed out. Gaudí did not complicate things when choosing who would be immortalised on the façade. He went with the people closest to hand: labourers from the construction site, pilgrims to the Temple and children from the parochial school on site. 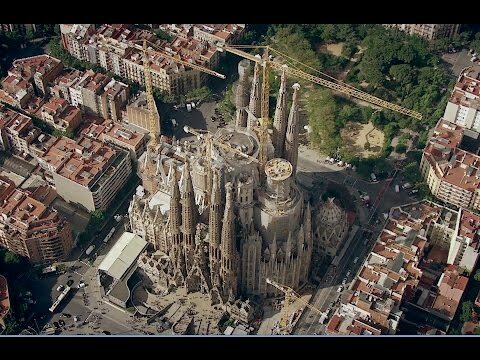 In short, people from the humble neighbourhood of “El Poblet”, the name the Sagrada Família district went by before the 20th century, who came by to admire and see what was happening. But there was a story behind some of his choices. One such case was the models chosen for the trumpeting angels. At that time, the Temple was surrounded by open fields that were often used for military manoeuvres. Once, some soldiers from the bugle corps were playing right on the corner opposite the Temple, just below the workshop. This was extremely annoying to Gaudí, who at the time was in the middle of a visit with his friend Bishop Torras i Bages, and told them to stop. The soldiers’ superiors were offended and went up to see who had given them that order. 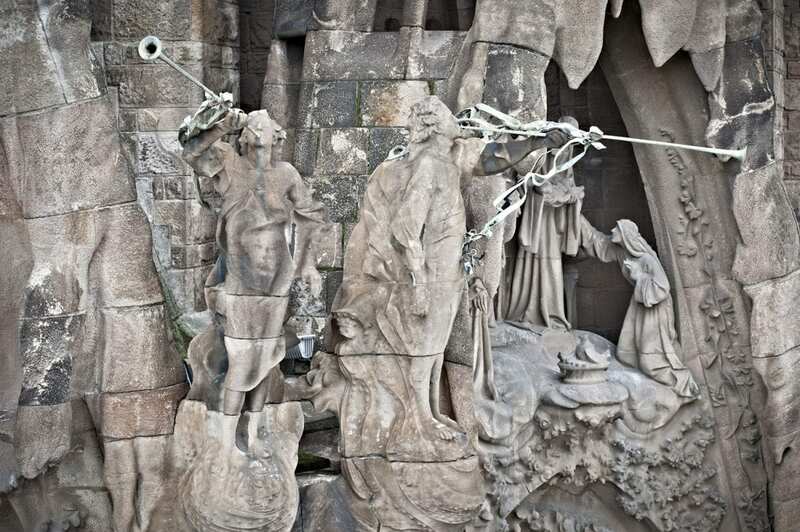 In the end, the bishop had to intervene to calm things down, and the three trumpeters ended up sitting as the models for the angels that were still needed for the façade. Gaudí chose people who varied widely: there’s everything from bishops to rag men, non-commissioned officers to goat herders, tavern hands to labourers. Because, more than ‘artistic beauty’, he was truly interested in the expressiveness of these people. Gaudí believed the truth of life was a reflection of eternal beauty and that each being is a piece of God. So, there was always some association between the model chosen and the figure they represented. So, the schoolchildren were used for the angels in the crypt and stillborn babies from the hospital represented the massacre of the innocents. It was also this search for resemblance in their essence that led him to choose the models for the most important sculptures on the façade. For example, for the Virgin Mary, Gaudí chose an older single woman who was so religious that she wanted to walk to the Holy Land. When she reached Premià de Mar, 20 kilometres from Barcelona, however, she said, “My God that’s far!” and took the train back home. For Saint Joseph, he found his perfect model in a stonemason who had missed work several days in a row. When they went to see him, they found him on the ground on a torn up straw mattress, next to his wife, who was praying for him to get well. And for the baby Jesus in the crèche, he chose a real new-born baby: the granddaughter of his great friend and sculptor Llorenç Matamala. 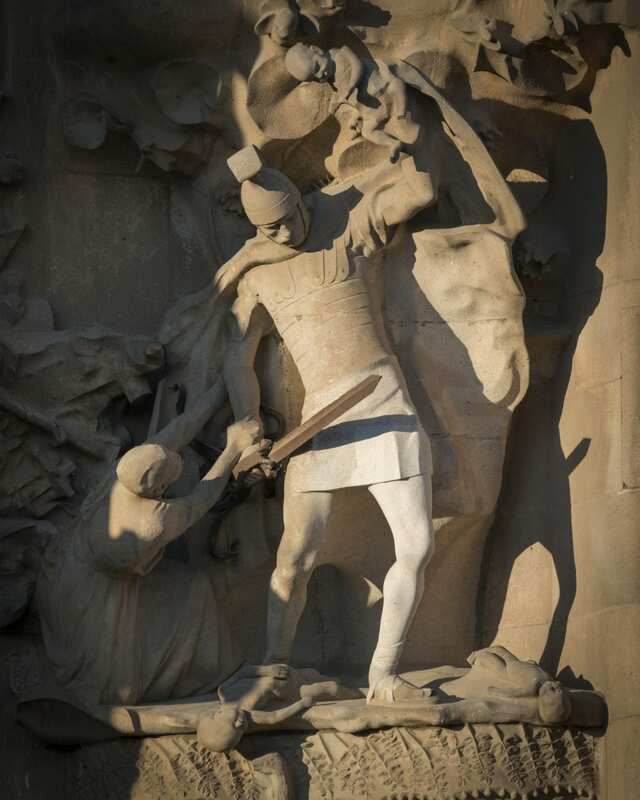 This resemblance is what Gaudí sought out, also, for the Roman soldier in the massacre of innocents. He chose a strong tavern hand because he was from Tarragona and Gaudí believed people from this region to have features reminiscent of emperors and Roman patricians. Plus, it turned out he had six toes on one foot, instead of five, and anomaly Gaudí left visible in the sandals he was wearing and that we can relate to another anomaly: that of killing babies. Gaudí used not only human models, but also animals for this moulding technique. So, the turkeys, hens and geese were from a neighbouring farm. 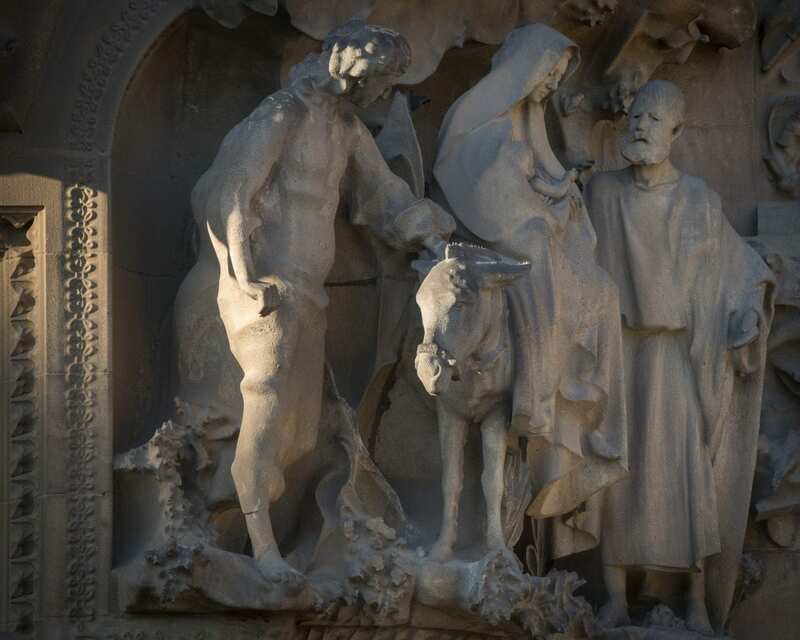 However, the best story seems to be the one about the donkey for the sculpture group of the flight into Egypt. To start off, they had to buy the animal from an old clay seller who often passed through these neighbourhoods, selling clay, which was used for crockery, because she didn’t want to let them use it. However, the donkey resisted the modelling operations, so Gaudí had her hoisted up in a sling under her belly. Once suspended off the ground, terrified, she was still and then, could be moulded easily. So, Gaudí, in addition to representing in stone the herbs and animals from the plot of land and its surroundings, also left us a good representation of the people who lived in the one of the poorest neighbourhoods of the time. 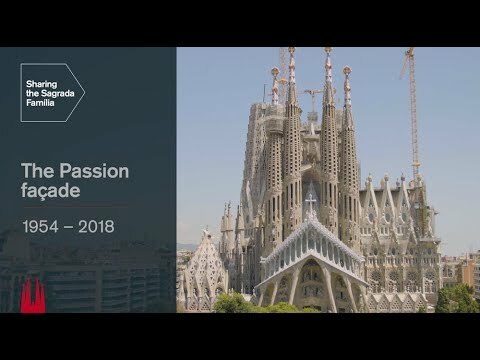 This article, then, is in remembrance and a small tribute to everyone who volunteered for this living crèche and who, despite the passing years, will live on eternally in Gaudí’s work. 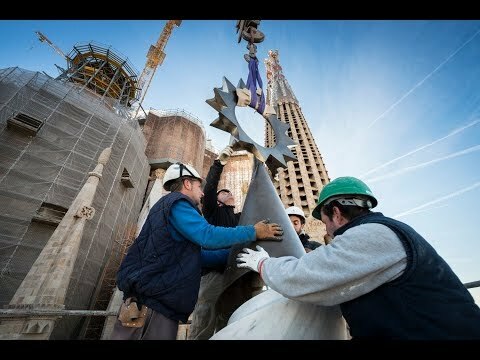 The more I learn about Sagrada Familia, the more fascinated I become. It is a unique treasure that speaks to me. Hello, I love to read about Sagrada Familia. I am a big fan and follower and it is a unique treasure that speaks.